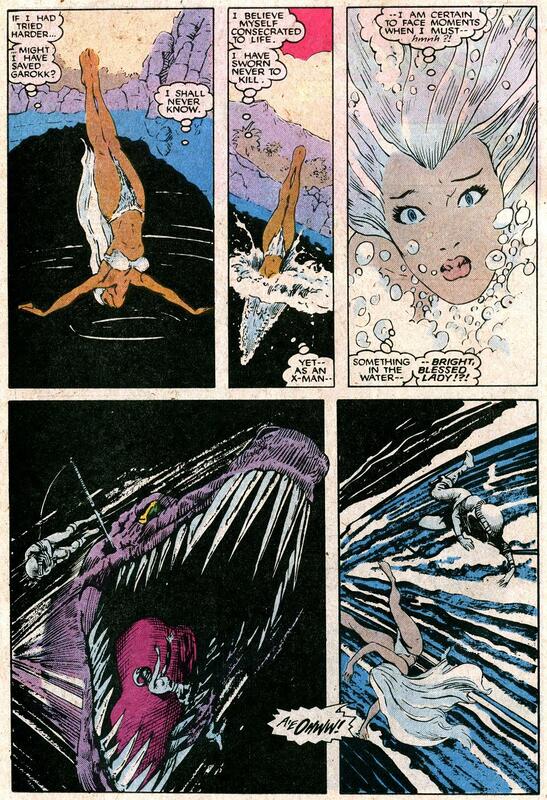 Storm has a scantily-clad adventure fighting a giant alligator underwater in the prehistoric jungle of the Savage Land. You either think that sounds like an awesome plot or you’re at the wrong web site! Dear Lord Preserve Me, I’m Changing! 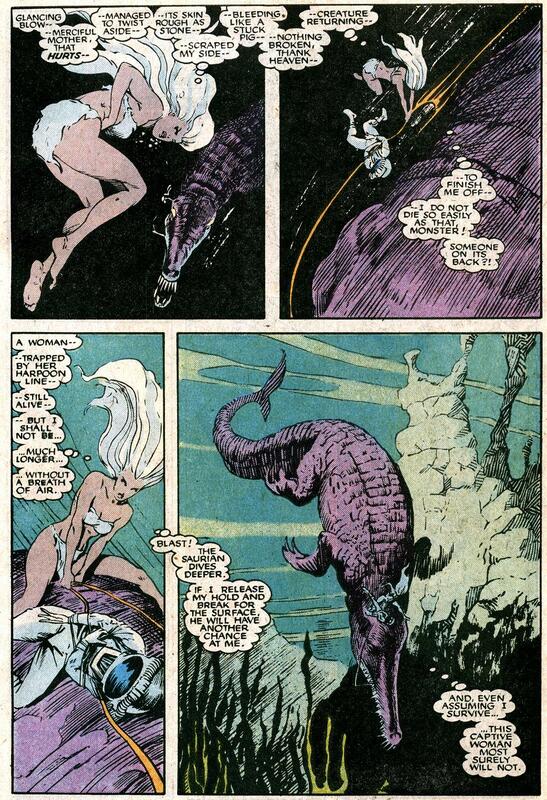 You gotta love how John Byrne draws Wolverine taking out a giant flying dinosaur! 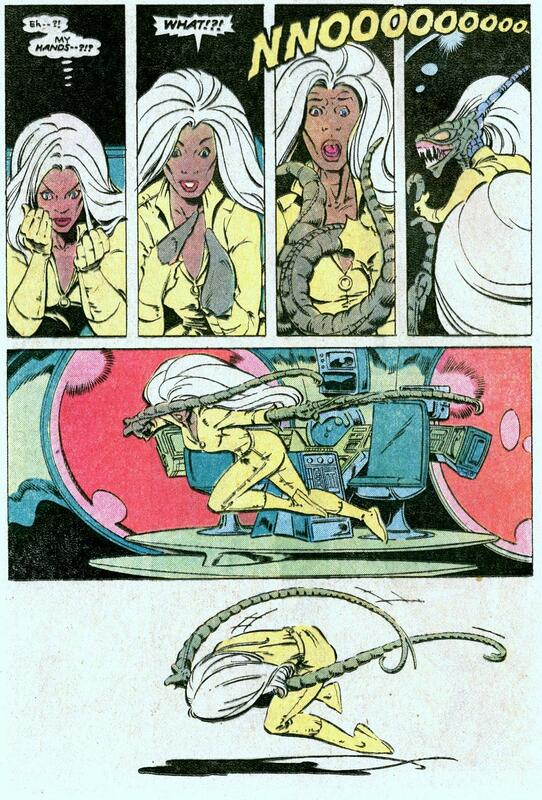 That’s good comics! 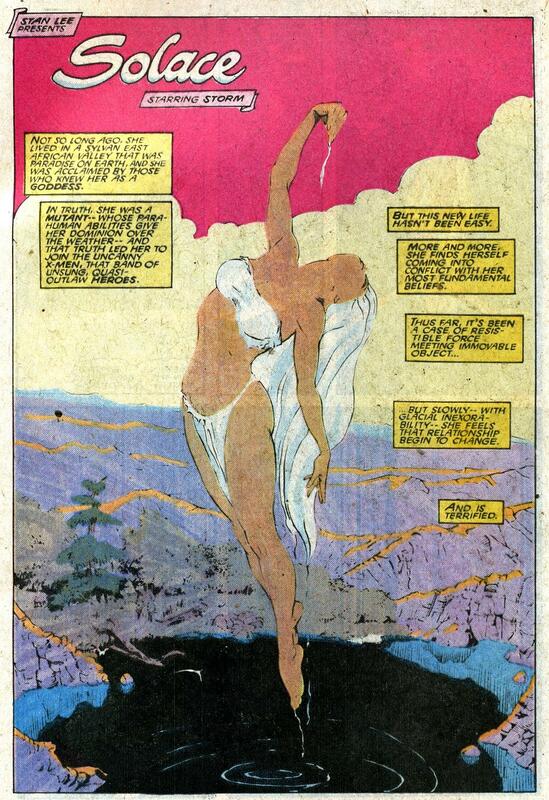 Storm plays a classic role as a bathing beauty menaced by a horrible evil.